I come from a peasant family of Bhaktapur, which is an ancient city next to Kathmandu, the capital of Nepal. I studied the snow leopard (Panthera uncia), and its prey, the Himalayan tahr (Hemitragus jemlahicus) for my MSc dissertation in 2013. 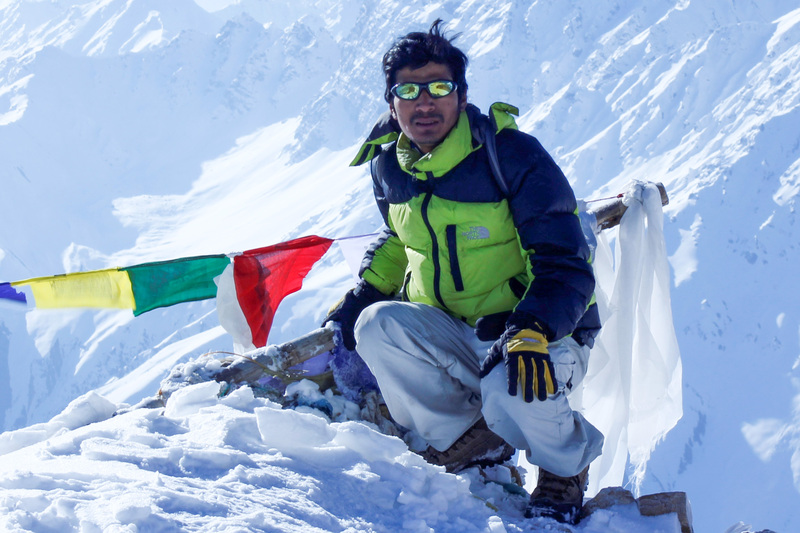 After graduation, I joined Friends of Nature (FON) Nepal as a wildlife conservation officer. In this position I participated in multiple wildlife research expeditions in the remote trans-himalayas of Nepal. During the expedition for the Himalayan Wolves Project by Ms Geraldine Werhahn, a DPhil student at WildCRU, in May-July 2014, we rediscovered the wild yak Bos mutus for Nepal, after 55 years of its assumed local extinction. I continue my research collaboration with Geraldine. Together, we have discovered Tibetan Lark Melanocorypha maxima and Rufous-tailed Rock Thrush Monticola saxatilis as two new birds, obtained the first breeding record for Common Redshank Tringa totanus and provided distribution updates for the Tibetan fox Vulpes ferrilata, Tibetan argali Ovis ammon hodgsonii, Pallas’s cat Otocolobus manul and Stoliczka’s Mountain vole Alticola stoliczkanus for Nepal. I have also published two books ‘HUMLA-Journey into the Hidden Shangri-La’ and ‘Birds of Dolpa: Shey-Phoksundo National Park and Adjoining Areas’ and two fables to communicate wildlife science to the popular masses. In 2016, I was presented the ‘Young Conservation Leader Award’ during the national conservation day. On the top of all, the government of Nepal recently published a new five rupee (national currency of Nepal) note which contains the photograph of the wild yak we (Geraldine and I) took in upper Humla in 2015. As a wildlife biologist I look forward to figuring out appropriate way(s) to ensure an effective coexistence between the wild carnivores and people in the Himalayas. I anticipate learning diverse issues related to this during the PGD at WildCRU. I aspire to drive my academics towards a PhD in one of the least studied carnivores of the Himalayas and become a conservation writer.